What Are the Best Golf Balls for the Longest Distance? At the top of every golfer’s goal list is “ten more yards off the tee.” Golf ball manufacturers are more than happy to oblige this request with currently over 200 different varieties of legal USGA-approved golf balls in the marketplace. With so many choices, how should you go about finding the golf ball with the longest distance? Compression is golf ball violence. It is what happens when the club face meets the golf ball. If you viewed this collision in slow motion, the previously solid golf ball is transformed into a mashed orb flattened on the side in contact with the clubface. This is golf ball compression. As the golf ball takes off from the ground, it regains its shape from the collision. This act of recovery is where distance comes from. While there is no argument on the mechanics of ball compression, there is no consensus on its importance in creating the longest distance golf ball. Consider that the world’s number one seller of golf balls, Titleist, has never published numbers on a golf ball compression chart. Not that the company has anything to hide. Titleist has simply never put much stock in golf ball compression numbers. Compression has also been a notoriously unreliable measurement. Balls marketed as “100 compression” (high) would often test at compression in the 80s – a low-to-medium compression. Today, companies have introduced lines of golf balls with compression as low as 40. The idea is that a lower compression ball will be ideal for players with average or slow swings, generally under 90 miles per hour. The “softer” ball will be easier to compress with a slow swing and spring further off the golf club for more distance. Does that make low compression golf balls the best golf balls for distance? That is the theory for the average player. Skilled players and golfers with fast swings will still benefit from the harder, higher compression golf balls. The higher resistance to those harder strikers creates a more efficient transfer of energy. Golf ball construction also matters, today’s golf balls are either multi-layered or two-piece. Multi-layered balls are designed for performance that combines both distance and control. Two-piece balls will generate more distance due to the larger interior core. If you are looking to smash it and you swing hard, pick a two-piece ball to find your extra ten yards. 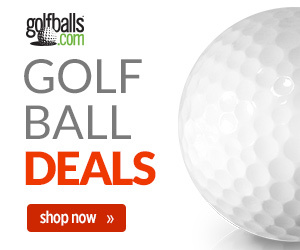 The weather is a very real determinant in searching for the best golf ball for distance. Every golf ball will deliver its best distance performance when the temperatures are hot. In cold temperatures, consider lower compression golf balls which will be the most forgiving golf ball with a better response. Save any true golf ball distance comparison for warm weather play. Playing conditions include the game you generate. Two-piece balls designed for distance will have less spin to help get that job done. This is an optimal choice for a low-ball hitter with more roll on drives. High ball hitters generate more spin and multi-layer balls are designed for greater carry and control on these drives. There is no magic method to instantly gain distance off the tee. 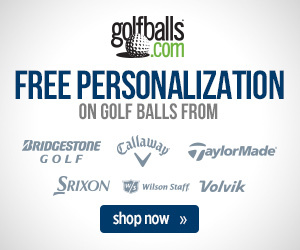 However, there is enough variety in golf balls to match one to your game and maximize the potential of your swing.